The application for college to University of Santo Tomas is now open. Here is a step-by-step application guide for the USTET for college applicants. Register and select the application for COLLEGE. Register here. Upload your ID picture then Save. Print the Senior High School Grades Form. Request the Registrar’s Office of your school to accomplish the High School Grades Form. Make sure that the school principal or registrar signs the High School Grades Form. Afterwards, encode your grades in your application portal. Submit the following documents to the OFAD through any LBC Express branch. All application documents will only be received through LBC. No personal submission of documents will be entertained by the Office for Admissions. Upon receiving the notification of OFAD, download and print the TEST PERMIT. Take note of your USTET schedule. NO TEST PERMIT, NO USTET. Here are the important dates for the UST Entrance Test (USTET). For provincial testing and schedules, please check here. Application for the USTET is done online. No need for printed forms. You may register through this link. Once you have opened the page, select “COLLEGE”. Preparing For Your College Entrance Test? I was accomplishing the pre – registration of my son for the entrance exam I was not able to finish my registration because i did not get the reference number . I was trying to register again but it appeared that the name was registered already. I am Mrs. Rosalinda Rodriguez the mother of Paul David Shem C. Rodriguez. i requested the documents from my daughters school but said that they can provide us the documents by end of November, i already paid the admission fee of P600, can she still take the exam? Good day. Im mrs Lorena Santiago mother of Rena Beth Santiago.I sent the application of my daughter via LBC last October 27 and it was receive by Ron Vincent Malabanan on November 6.i would like to confirm if the application of my daughter was approaved.kindly sent us confirmation message if approad in my cell # 09158848695 or email in [email protected]..thank u..
can may child still apply for admission to this date? when is the schedule of entrance exam for college…my daughter is grade 12 now and we would like to try your school. Are you still accepting college applicants for this year? Please do notify me, thank you very much. Are you still accepting senior high applicants for this year ? When is the schedule of the entrance exam for senior high ? Because I would like to try your school. Please do notify me, thank you. Gudam my sıster wants to enroll but she wasnt able to submıt applıcatıon thru onlıne last year. Hopıng for ur rply. Thnx. Are you accepting entrace exam for college.thank you! Hi! I would like to know this online application because in the ust website, it can’t be opened. Thank you! Hi, i just want to know what document are you referring to in Step 7 in the online application. Its because my school can’t be found in the list. If i click “school not found” it says that i have to upload a document. What document is that? Same concern for me. My school is also not found and what documents are needed to be uploaded their? can someone answer our concern asap. you can email me at [email protected] thank you so much for the answer. How to edit the application form if I already submitted it? To whom it may concern: My son, Phillip Angelo Rualo Jaculo, was in the middle of accomplishing his online registration for the entrance exam this morning when the desktop he was using suddenly rebooted. Unfortunately, he was not able to save the reference number. He attempted to restart the registration process but since he cannot provide the reference number, he is unable to access his pre-registration form. 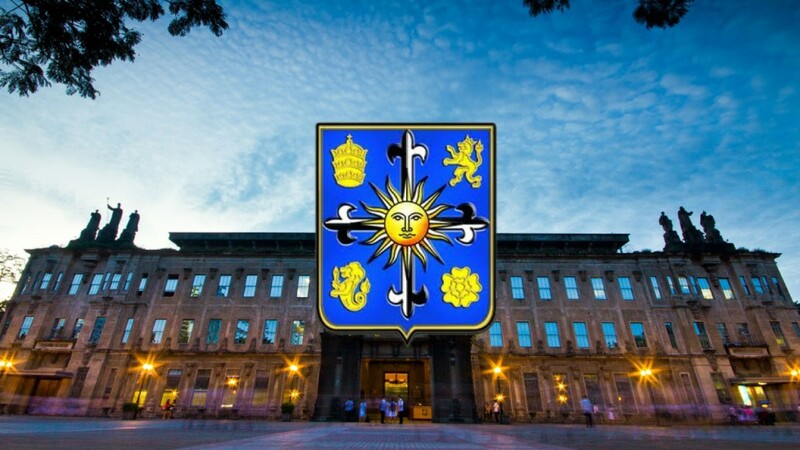 I am the one applied for the UST College Entrance Examination for the year 2019-2020 for my daughter. But unfortunately I feed a wrong email address of my daughter. Then I got the reference no. So please help me what to do. I will highly appreciated for your immediate response. Thank you! Good day. I am Ivy Winncelle Pilario Rodriguez. I already have my reference number, but I don’t know what do to next. Can you please help me. You can message me, here is my phone number 09504945280. Thank you very much. I hope you can help me. Greetings! Good day! I would like to know what is the scheduled time of the examination here in the Dapitan City, Zamboanga del Norte at Rizal Memorial Institute of Dapitan. Your response is highly needed and appreciated. Thank you so much. What documents are they referring to in the “request school” process? There’s no specification and adequate instruction given. I want to finish my forms as soon as possible, thank you. May I inform your office that my application form has an error and for this reason my I rectify , also the problem is that the date of completion of grade 12 does not change anymore. I’m helping my niece register her application, but we’re unable to complete the process, we tried uploading her 2×2 picture in .jpeg format but it showed us an error message “/stepsfiles/ofad/2019/69120/MjAxOTY5MTIwdHdvYnl0d29waWMyMDE4LjA4LjE3LjA5LjQzLjI2.jpg (No such file or directory)” , Not sure if we have missed a step in the process but could someone from your office/team assist us. My school is not found. What are those documents being requested? I cannot proceed to the next step. Please send help. reference numbers are sent to the email address given by the applicant. Hope that helps. online poker . Explain from the bottom to the most complicated. Hi. My grade 10 daughter would want to take the entrance exam for senior high school but the on-line registration and application is down for the entire week. Deadline for submission is supposed to be today. Would it be possible to have the deadline extended as a result of this concern? Good day! Im lovelyn Buenvenida. Grade 12 student and I want to take an entrance exam for college, I already sent the documents through LBC , but I still not receiving a feedback from ofad regarding the Test Permit. My son Melchizedek C. Salvador , Grade 12 of Saint Mary’s Seminary ,Laoag City have submiited all the documents for the USTET.He was no able to take the exams given in Laoag City so he requested for the change of date of venue of exams. He wants to take the test on December 2,2018 in Manila.We already sent our request to your office thru email.Please grant our request and notify us and give us the test permit soon before December 2, 2018. His referen e number is 2019098415. Hoping for your kind consideration regarding this matter.please reply to my email address [email protected]. Thank you and God bless. Goodmorning! My daughter is graduating for grade 12 now and we would like to try to your school.Can she still get the schedule of entrance exam for college? Please notify me by email [email protected]. Hi, I have a sister and she wants to study on your school. She’s now a grade 12 student and she doubts if she still can get an entrance exam for college.